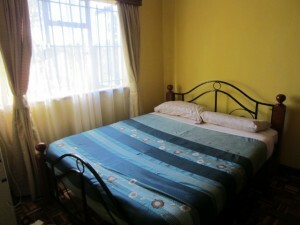 I’d like to share this review of Furaha (meaning “joy”) Guest House in Nairobi. On top of all the good things I write below, add this: I did not have shillings to pay my bill the last day and was flying home to the States. My hosts said their credit card machine was not working and not to worry—pay them when I got home somehow! They had neither my passport nor any of my personal info. Is that TRUST or what? I paid thru PayPal when I returned. Thank you Cecelia, Josephine, and Joe! 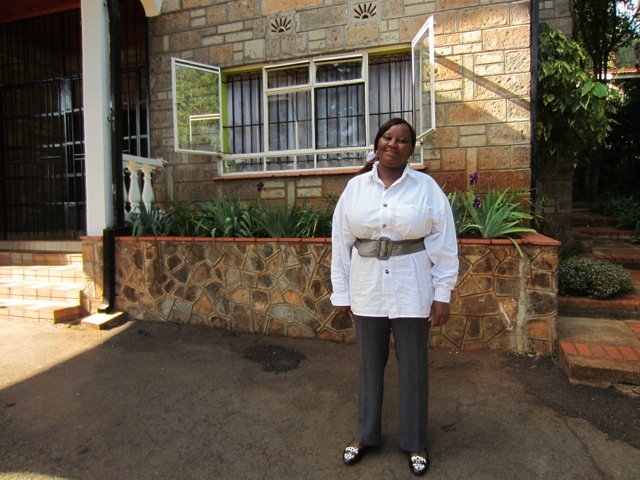 Furaha is so serene, comfortable, and homey, I stayed there six nights. 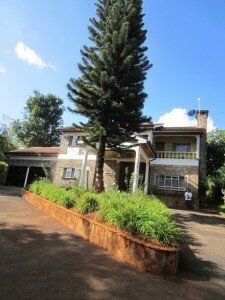 The setting is pastoral, with birdsong, tall palms, and lush vegetation. You must experience the cooking of chef Joe while there. He’ll cook to your taste, in my case, tilapia fish with chapati and African greens. Each morning full breakfast is served to your taste. I loved the vitamin-rich fresh juice cocktail. 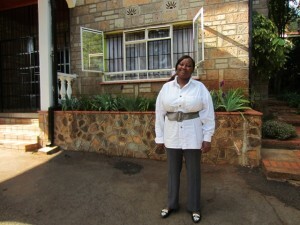 Josephine and Cecelia, the hosts, are very attentive to personal needs and very welcoming. The location is the best you can get in Nairobi – it’s Gigiri, right near fabulous restaurants. Try Habesha Ethiopian, Osteria Italian, or Emerald Garden Thai. Or relax and eat something made to order by Joe at home. I also loved Four Cafe at the Warwick Center. You can walk to a Masai market at the Village Market, a lovely warren of shops and eateries, great for meeting people, and socializing. You can walk for a long time on quiet streets amid gorgeous landscaped gardens – and there is nearby Karura Forest, where I went on Sunday to walk paths among trees – monkeys, waterfalls, botanical delights. The United Nations and U.S. Embassy are right there. I took the matatus to town daily. Furaha is a place to return to.